Involve your whole family in your search for the treasure. 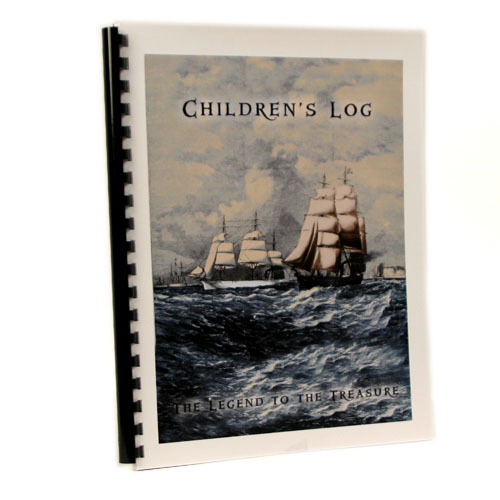 This fun but very powerful children's log takes your grade-schooler through the 16 weeks of The Legend to the Treasure Series right along with you. With over 50 pages of lessons, crosswords puzzles, word searches, insightful questions - you will be able to spend quality devotional time with them and bring them in to what you are learning through this powerful series. This Children's Log is a God Send! An answer to prayer! I was just praying to God recently for help and direction in teaching my children then WeighDown came out with the Children's log which goes along with the Treasure Series. I needed some ideas of how to make things fun for them and hold their interest. My kids Jared(7) and Jenna(5) Were so excited the day the FedEX Man arived with their Log Books and their excitement continues as the weeks go by. They can't wait to work in their book and they listen intently to the videos so they can find the answers to the questions in their books. Sometimes they are asked to give an example of how they put things into practice, so they are encouraged look for God and do his will all week long. We LOVE this wonderful tool and we love going through this series with the whole family. We Praise God for the Change in our lives already!